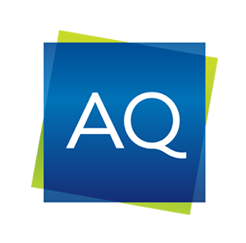 It’s 2001 and two graduates from The Hotelschool, The Hague, found AQ Services in a restaurant not far from home. The company is aimed at advancing the quality of customer service, it’s mission: “to let people experience great service“. What was clear from the start, was that we would be the global mystery shopping specialist, doing research and analysis and soon became skilled at figuring out what companies should do to improve their performance. Using the data gathered by our mystery shoppers, we work together with our clients and create a desire to perform, grow, and be the best. Now, with more than 15 years’ experience in the business of mystery shopping provider, we have grown into a multicultural company with global reach and local roots. We have the right set of tools and expertise to customize solutions for businesses in all industries. We’ve never lost sight of the vision our co-founders shared in in 2001: let people experience great service. In 2012, Jan-Willem Smulders and his wife were active in the refugee community in Malaysia. They came to recognized that there was real need for education for the refugee children. After a successful fundraising effort during a Dutch-Asian hockey tournament (ZOAT), together with several others, the Smulders set out to establish a refugee school. After almost 2 years of fundraising and planning, the IDEAS Academy was officially launched in 2014. IDEAS Academy believes in education for all. Education holds the key to global citizenship which is something that no one regardless of background, race or economic situation should be denied. Their primary aim is to ensure that every child between 12 and 18 years old should gain a strong secondary educational foundation to become a responsible, confident and compassionate citizens of tomorrow. To achieve their mission, IDEAS Academy relies on the generosity of donors for support. Without the assistance of individuals just like you, we wouldn’t be able to pursue our mission to help these children.